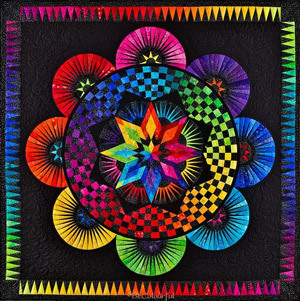 This quilt KIT features a beautiful assortment of 24 colors of the rainbow which sit on a black batik background, with several gorgeous black with silver prints. All fabrics are from Anthology and/or Hoffman Fabrics and are designed or chosen by Jacqueline herself for this kit. The batiks are 100% cotton, hand dyed in Bali, Indonesia. 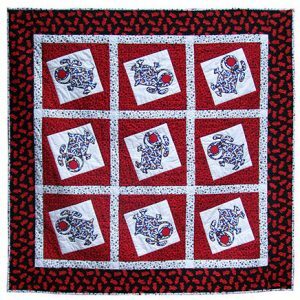 This quilt finishes at 67″” x 67″”” and the kit includes all fabrics for the top and binding. The backing and batting are not included. 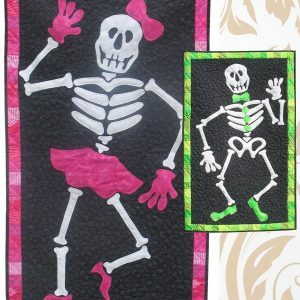 Pattern IS NOT INCLUDED IN THIS PRICE, but is available separately.